Rose, walked the dog – it had been raining but it was beautiful now – and I didn’t see a single car on the roads the whole duration of my walk. 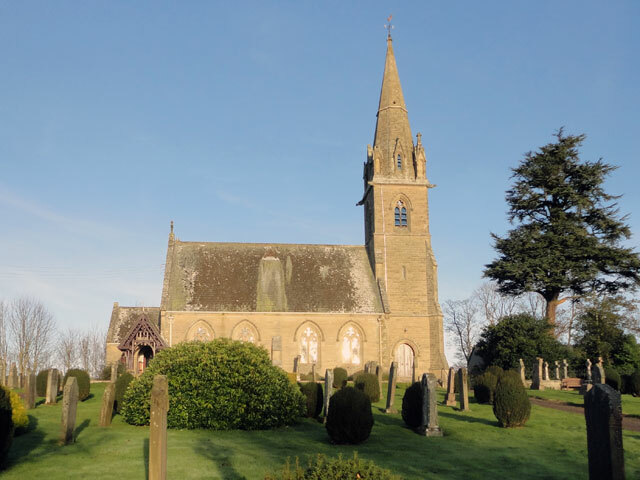 Came back and showered before breakfast and then with Mum and Rachel I set off for Gavinton Church to celebrate the first Sunday in Advent, the start of the journey towards Christmas and the beginning of a new church year. Ann, the minister, was back in post and she conducted a service on the theme of Advent, Aids and Andrew with three smaller meditations in place of the normal address. The first Advent candle was lit and the meditation centred on the promise of Jesus return but the impossibility of knowing when that was to be. Jesus didn’t know but trusted his Father, and that in turn taught the disciples about how to trust. In any event the message of advent is not about waiting but about living the faith now trusting that God will return to claim his world for his own. So the candle becomes a symbol of hope for the future and trust in the here and now. We were reminded that today is world AIDs Day – a marking day which goes right back to the 1980s. Too many people continue to suffer from AIDs, but progress is being made if only the medicines which are now available could be made accessible to all. The Church of Scotland is playing its part but there remains much to do. And, of course, yesterday was St. Andrew’s Day. Andrew, the apostle who brought his brother to faith – perhaps we all think too big and want to evangelise the world: if we all just brought our brothers to faith how the world would change. Andrew it was who brought the little boy with the loaves and fishes to Jesus and enabled the crowd to be fed. Faith and food – not a bad patron saint; not a bad role model for those of us who seek to walk in his footsteps as we seek to be disciples of Jesus. The journey to Christmas has begun. Back home Rachel learned that her ‘cello had been repaired and went off to Tom’s house (where the repairer had delivered it) to collect it and bring it home. She was delighted. I spent part of the afternoon finding out about some of the special facilities which televisions seem to have nowadays, I can access my computer and even make a Skype call through the television. After six weeks I finally got round to reading the instructions! Saw that my friend Laurence Whitley, the minister of Glasgow Cathedral, had conducted a special service for those who had died in the helicopter tragedy on Friday night, and, of course, for their families and friends. I have a huge admiration for Laurence who is an example of all that is best in the Church of Scotland and who, from the bits I saw on television, spoke the words which needed to be heard on this difficult occasion. In the late afternoon Rachel went off to Berwick to attend Choral Evensong. I stayed to look after the dogs and to visit with Olive, Digger and my mother. We all dined on chicken with roast potatoes and cauliflower, followed up with ice cream and brambles. In the evening we luxuriated in front of our wood-burning stove. I read my book and dozed in front of an old episode of Lewis. Soon it was time for a final walk with the dogs before bed. What a lovely day!